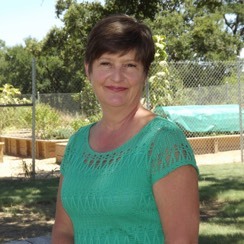 We are pleased to announce that Linda Brown has been promoted to Business Development Department Manager. Linda came to ATS with a strong business background with 32 years’ experience as a leader in the retail industry. In the 2 ½ years Linda has been with ATS she has been instrumental in furthering our business development and marketing efforts. From new client acquisition, preparing RFQs, renegotiating pricing and contracts, producing branded marketing materials, expanding our social media presence and participating in trade exhibitions and associations, her efforts have produced tangible results. She is also actively involved in the development of our new PTRAC Project Tracking system; identifying work flows and processes for each department. 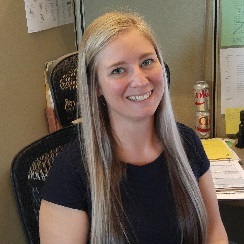 In addition to business development and marketing efforts Linda will continue to engage in recruiting new talent, assisting staff with professional development opportunities and maintaining continuing education requirements. ATS Engineers, Inspectors and Surveyors welcomes Mark Medina to the Energy Department. Mark will be joining our field inspectors after training. When not in the field, he stays busy running after his three-year-old, enjoys going on camping trips with his wife and son, woodworking, and restoring his 1986 Monte Carlo. We are pleased to have him join our team. Welcome, Mark. 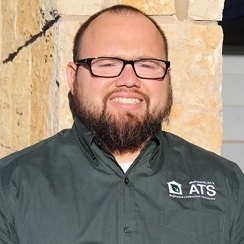 ATS is excited to announce the addition of Danny Batts to our Inspections Department. 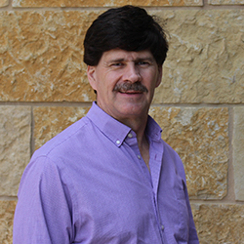 Danny has spent the last 7 years working for the city of Kerrville, where the last position he held was that of Director of Building Services. He holds many International Code Council (ICC) certifications including Certified Building Official. He is no stranger to the construction industry, having over 40 years of experience as a Builder, Real Estate Inspector and Sales Agent, and Construction Inspector. Welcome to the ATS family, Danny. We are happy to have you here! Austin, TX, 12 February 2018 – Dondi Atwell has been named a Home Innovation NGBS Green Partner of Excellence for 2017. 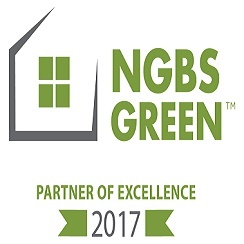 NGBS Green, which is based on the National Green Building Standard™ (NGBS), has certified more homes than any other national green home certification program thanks in large part to its knowledgeable in-field verifiers. Being one of an elite group of Home Innovation’s green certification program partners to be recognized validates the commitment Dondi has made to providing customers with increased value, professionalism, and relevance in the marketplace through third-party verification to the NGBS. As an accredited NGBS Green Verifier, Dondi Atwell has provided independent verification services for 6,576 units that became NGBS Green Certified by Home Innovation Research Labs, and 4,289 units in process. NGBS Green Verifiers are trained, tested, and accredited by Home Innovation to ensure consistency and rigor across the country for NGBS Green Certifications across the country. To earn certification to the National Green Building Standard, a home must meet rigorous criteria in six categories – Lot & Site Development; Resource Efficiency; Energy Efficiency; Water Efficiency; Indoor Environmental Quality; and Homeowner Education. There are mandatory practices in each category that every NGBS Green Certified home must meet, and there is a wide range of additional optional practices in each category that a builder can select based on the applicability to buyers or renters in their market. There are also mandatory point minimums in every category in order for a home to attain the next level of certification, which is a more stringent requirement than in any other national certification program. 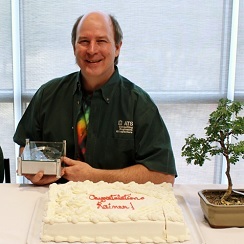 Today we celebrated with one of our Structural Engineers as he starts his Retirement. In true Rainer style, he came to his party dressed in slippers and his wife’s robe to remind everyone that he doesn’t have to dress for work anymore after fourteen years with ATS. Rainer’s contagious smile and wacky sense of humor will be missed by all, but we are happy for him as he embarks on a new journey. 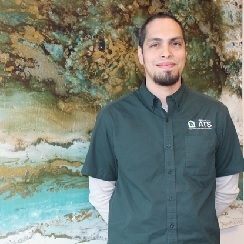 Jose Espinoza recently joined our Energy Department at ATS. He is a graduate of Texas A&M and holds a Bachelor of Sciences in Environmental Geosciences, with minors in Geography and Meteorology. Jose confesses that he’s a big gamer, loving to play video games in his spare time. Unfortunately, as a homeowner, there’s not a lot of spare time as he stays busy with the upkeep and his wife’s honey-do lists. We are excited to have Jose join our team! 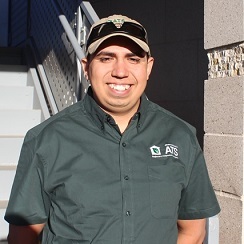 ATS Engineers, Inspectors & Surveyors welcomes Steven Gonzales to the Energy Department. 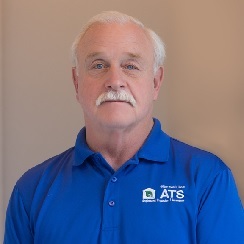 After working in the medical field for several years, Steven decided to pursue a different career and joined ATS. Steven enjoys competing in barbeque cook-offs and recently won an overall Grand Champion prize at a Cook-off this past June in San Marcos. We can’t wait to see him exhibit his BBQ skills for our next spring party! Welcome, Steven, to the ATS family. ATS Engineers, Inspectors & Surveyors is proud to be a part of Austin’s newest, zero-energy capable community of homes. What is a zero-energy capable home? By reducing consumption using high efficiency geothermal heat pumps and producing power using photovoltaic (PV) solar panels, a home can become zero-energy capable. 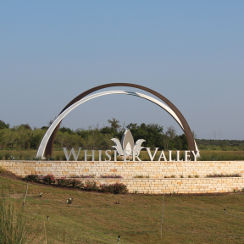 Whisper Valley is the first community of homes offering comprehensive technology and innovation through EcoSmart, that makes all this possible. ATS worked with the builders during construction, providing inspections and energy testing. Representatives from ATS celebrated with Whisper Valley at their recent ribbon cutting.